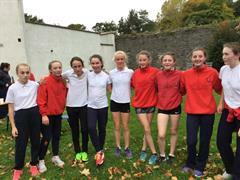 Athletics has always been one of the favourite sports at St. Leo's College with great numbers of students turning out for training on a weekly basis and representing their alma mater at School Champions in both Cross Country and Track & Field and in Summer 2017 Sarah Graham was selected for Tailteann Games in Athletics on the Leinster team. and Catherine Doyle in 5th Year. 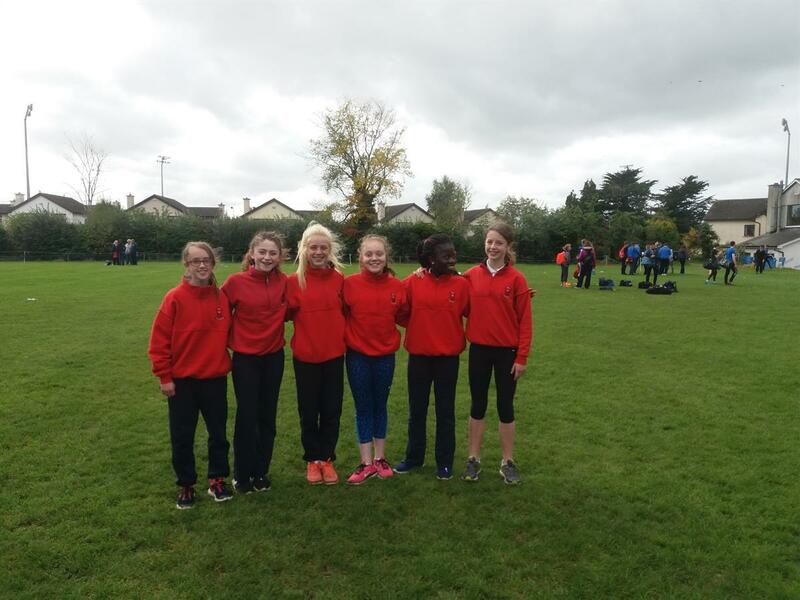 At the South Leinster track and field schools athletics, St. Leo’s College had some very successful athletes. 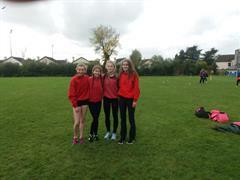 The junior relay team of Susan Oyeni, Lily Gaffney, Lan Gaffney and Ciara Moore won gold and then came fourth at the Leinster finals. 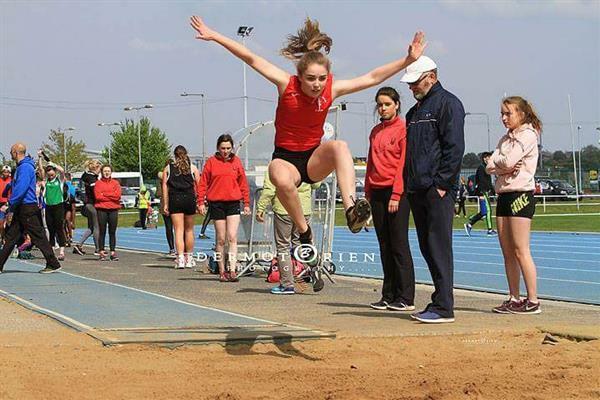 In the Minor High Jump Damilola won gold. 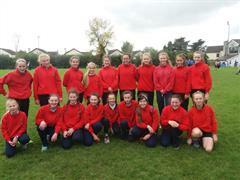 for the All Ireland finals. 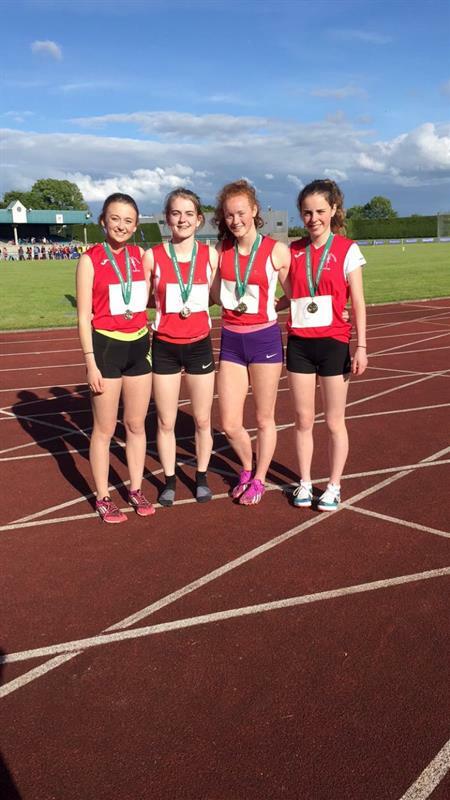 Sara Doyle won the 800m and was placed fourth at Leinster. 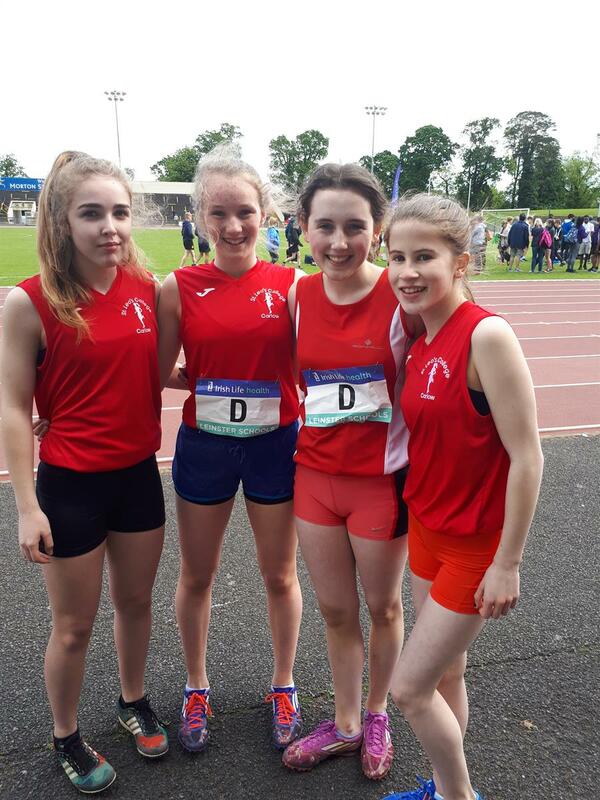 Jasmine Brennan Dowling won silver in the Hurdles, Ella Hendricken won silver in the U-17 Long Jump and Anna Colgan won silver in the U-16 Long Jump. 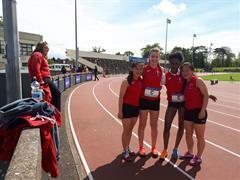 Rebecca Fahy was third in the Discus, Bronagh Walsh was second in the Senior Long Jump. In Discus Sarah Graham was third in Leinster and qualified for the All-Ireland finals. 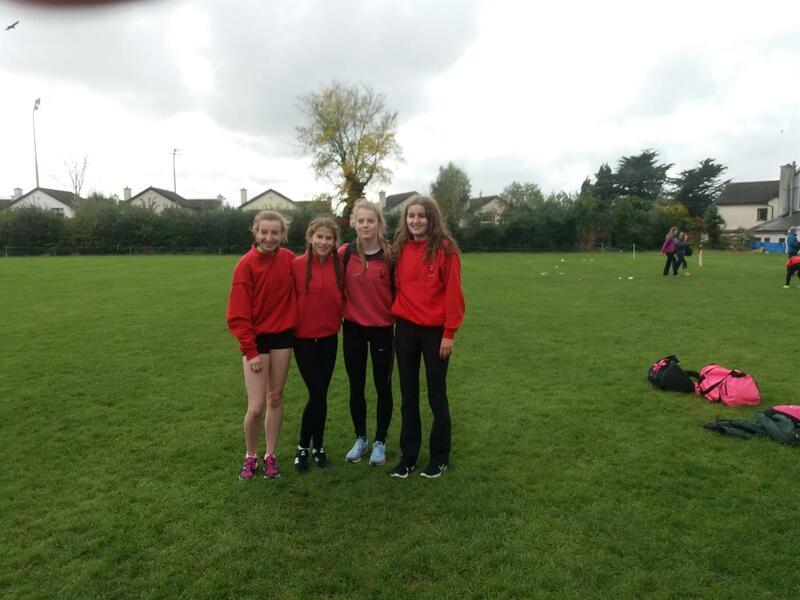 for third place in Leinster. Not to be defeated they then went on to the All-Irelands where they took the national title, winning gold. 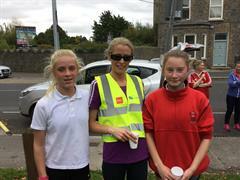 Our annual Whole School Run has become a fixed event on the October calendar for the past number of years. 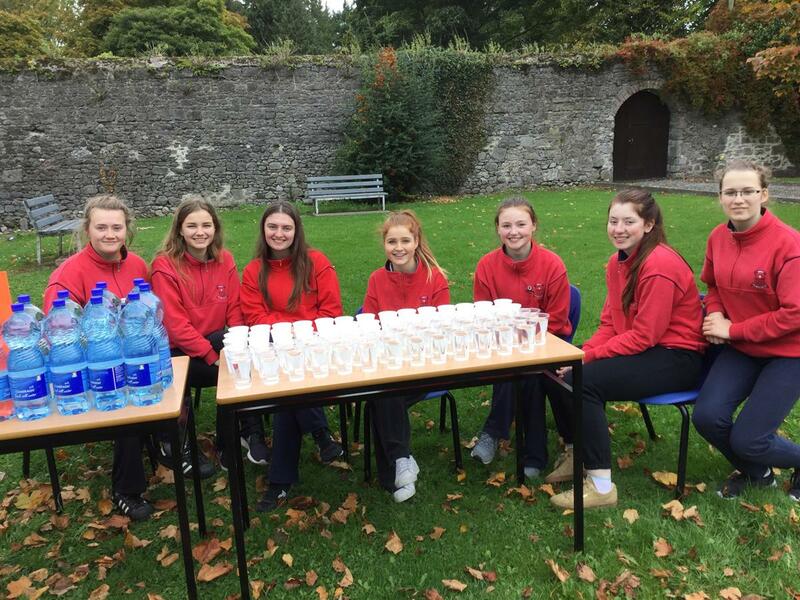 Introduced to encourage all members of the school community to get out and get active this fun event has proved very popular with all concerned. 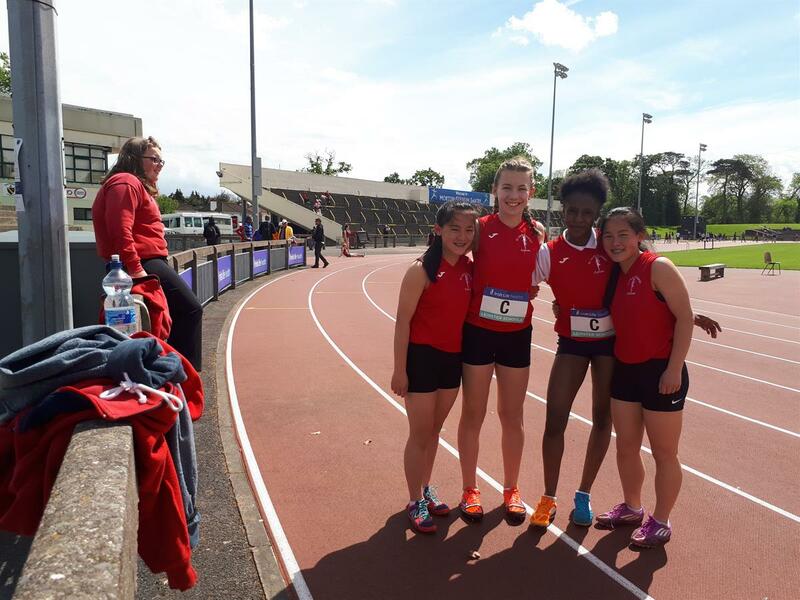 Participants are encouraged to walk/jog/run a local 5K circuit. 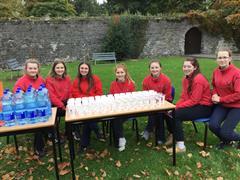 Organised by the PE Department and with assistance from staff members to act as stewarts, water marshals, First-Aid etc. 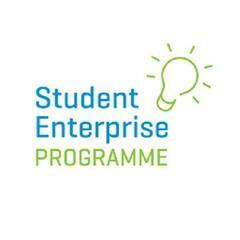 this event ensures participation by all. Many thanks to our friends in the neighbouring Garda Station who come on board to lend a hand with traffic management and ensuring optimum safety for all.